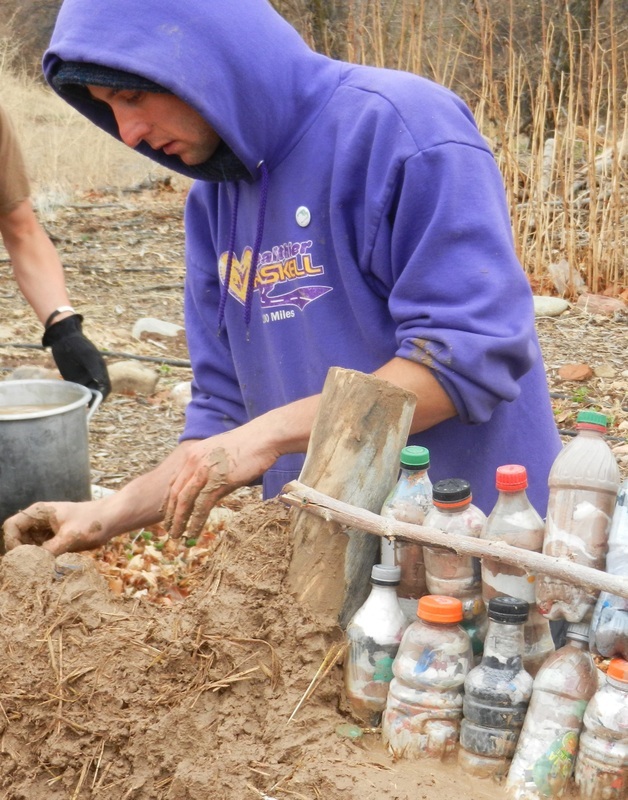 Brennan is a 24 year old ecological educator and Earthbench builder. He built his first Peace on Earthbench in Spring of 2011 during his senior project at UC Davis, and soon afterwards founded the Peace On Earthbench Movement. To learn about Brennan's story and the development of POEM, click here. DanDan is a 26 year old ecological educator with over 10 years of experience directing youth in environmental education and service learning programs. DanDan has served two years on the environmental education sailboat "The Adventuress," holds a Wilderness First Responder certification, and has a BA in Nature & Culture from UC Davis. DanDan has assisted in the building of the East Palo Alto mobile earthbench and the SF Lowell Highschool dragon earthbench. DanDan is currently traveling through South America, taking natural building courses, learning more about the history of bottle bricks ("ecoladrillos" in Spanish), and spreading the POEM southwards. He will be returning in June to prepare for our first Natural Building Summer Camp in WA! Davey is a 28 year old ecological educator and environmental activist. Davey co-founded Pick Up America, the nation's first coast-to-coast roadside litter pick-up. Over a 3 year period the Pick Up America team picked-up over 100 tons of trash on their journey from Maryland to California. Davey along with Pick Up America have led the building of Peace on Earthbenches in Moab, Utah and Denver, Colorado. Davey now has plans to build Earthbenches in his home state of Maryland, including one in the Anacostia Watershed in D.C.
Samuel is a 28 year old social worker with Initiatives of Change and is from Nakuru, Kenya. Sam is fascinated with promoting zero waste and repurposing plastic trash. 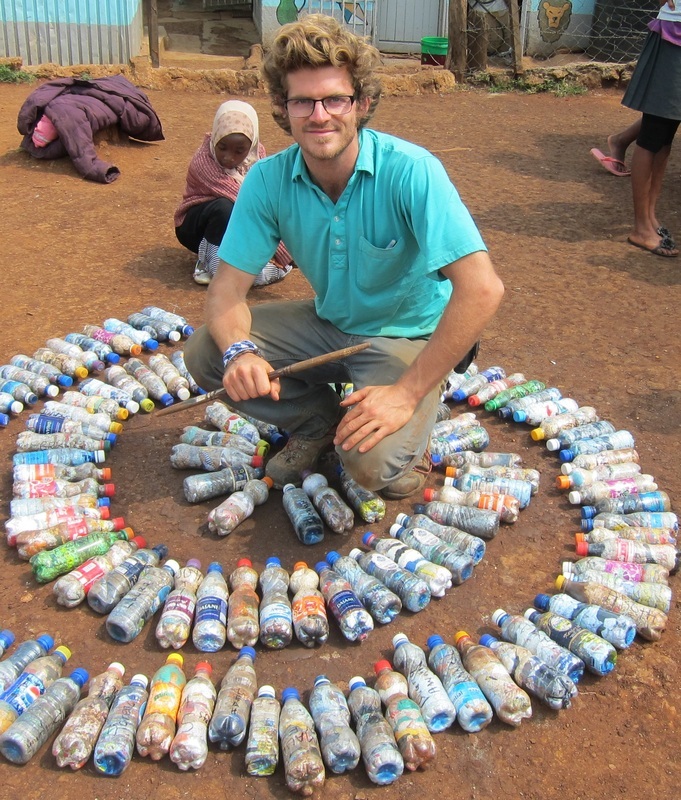 After building a toilet using clay and 1000 plastic bottles filled with sand, his friends started calling him "Mr. Plastic." 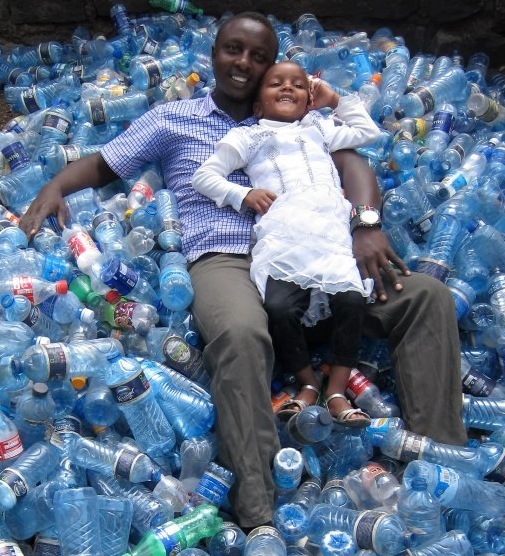 Sam has diverted over 4000 plastic bottles from becoming rubbish. Sam led the building of the Rhonda Peace on Earthbench during Brennan's visit to Kenya in Fall 2012. That Earthbench was inaugurated on International Day of Peace 2012 and the story was covered by several National Kenya News stations. Sam is currently working on a Peace on Earthbench in South Africa! Willee is a 23 year old community organizer, ecological educator, and activist. Willee was pivotal in the creation of the first Peace on Earthbench at UC Davis in Spring 2011, where he earned his nickname "Willee Power." He went on to build an Earthbench in Madidi National Park, Bolivia, while working on an Ethnobotany project funded by the UCD Bluhm Research Center. To check out the Bolivian Peace on Earthbench, click here. Willee is currently living in New Orleans and is helping to lead an Earthbench project with his brother Matt Roberts (a freshman at Tulane University). The Roberts are engaging Tulane University students to build the first Peace on Earthbench in the Big Easy!